SelfLube is required to undergo a rigorous annual audit as part of its ISO 9001:2008 certification. The company is happy to announce another extremely successful quality year. SelfLube Announces Seven Straight Years of Zero Non- Conformances. 25 years ago we were a very small company. Our ambition was to become a much bigger company and to do that, we needed to implement a quality system. The leading U.S. mold and die components manufacturer, SelfLube recently completed its ISO 9001:2008 quality audit with zero non-conformances. This adds to its already successive track record, which now stands at seven successive zero non-conformance audits. As an ISO 9001:2008 registered company, SelfLube is required to undergo an annual audit of its quality systems. This consists of a thorough review of the company's quality procedures to ensure that they are adequate and that they are being adhered throughout the year. "This is a very big deal," says Owner Phil Allor. "25 years ago we were a very small company. Our ambition was to become a much bigger company and to do that, we needed to implement a quality system. This led to us adopting the ISO 9000 quality standard. This was one of the best decisions we ever made." ISO stands for International Organization of Standardization. It is an independent non-government organization that provides guidelines to ensure material, products, processes and services are safe, reliable and are of good quality. 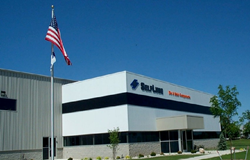 SelfLube is the leading U.S. manufacturer of mold and die components. The company manufactures both conventional and self-lubricating components used in molds, dies and special machines. Its product line can be viewed on the company's website along with CAD models of each part number. Manufacturer of over 10,000 part numbers for molds and dies.